A search is in progress for a woman who’s been missing for more than a week and is believed to be in the park. Hillary Sharma’s vehicle was found in Boston Store Visitor Center parking lot around midnight on Thursday, August 21st, after Eastlake Police Department issued an alert reporting her missing. Rangers started a search at that time which was soon joined by several other agencies. It included ground teams with search dogs, horse patrols, boats on the Cuyahoga River, helicopters and fixed-wing aircraft. Over 150 people participated in operations on Saturday alone. The search was originally managed under a unified incident command that included the National Park Service, Valley Fire Department, and Brecksville Fire Department. It has since been scaled back and is now being managed by an NPS team (Chris Ryan, IC). A body has been recovered near Cottonwood Cove on Lake Mohave in an area where a man disappeared on August 16th. On the afternoon of August 24th, visitor reported seeing a body floating near Cottonwood Cove. 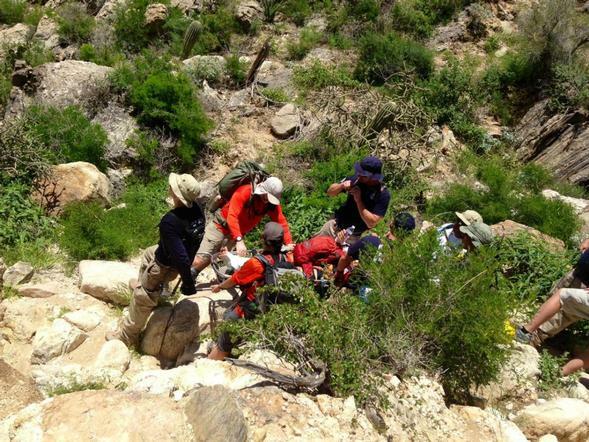 Rangers responded and recovered a man’s body. A 31-year-old Southern California man was reported missing near this area after jumping off a boat without a lifejacket on August 16th. The National Park Service and Nevada Department of Wildlife have been searching for him ever since. The Clark County medical examiner will confirm the victim’s identity and determine the cause of death. The incident is under investigation. This entry was posted in Uncategorized on September 2, 2014 by bigpigoutdoors.